Dryopteris normalis, also known as Thelypteris kunthii is a deciduous terrestrial fern that has lance shaped fronds. Being one of the best ferns for the South and a Texas Native it will tolerate more sun than most other ferns. In some circumstances may even be planted in full sun if kept wet, it can also survive drought up to 9 months if dormant. 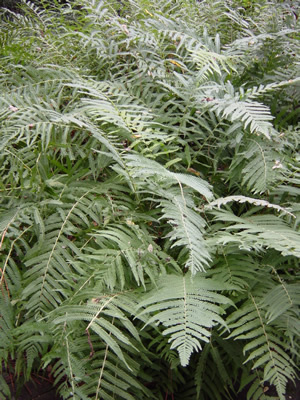 Southern Wood Fern is spreading and will grow to a height of 24 to 40 inches.